I hate people who hate beer. Period. I can understand hating a national, mass-produced, canned beer (and many people do & stop drinking beer right there..... which harkens to your point about idiots thinking all beer is the same). But if you've ever tasted a quality brew, there's nothing to hate about it. Aside from the instinctive human gravition toward inebriation, there's a fine reason that beer has been around for several thousand years. between people and their beer choices and watching jackasses on the golf course everyday, I have little faith and hope left in humanity. We all love beer, we all don't like the same choices in it..but at least we are drinking it. i know that was more directed to my friends who go to bars and ask for keystone light and natty and get pissed when they don't have it. 1. Brooklyn Summer Ale-9/10 was a good tasting ale. Ranks up there with Sam Adams Summer Ale for me. 2. Boaks Double BW Belgian Wheat Beer- 9/10. Pretty damn good I enjoyed this one a lot. Never heard of the brewery before. 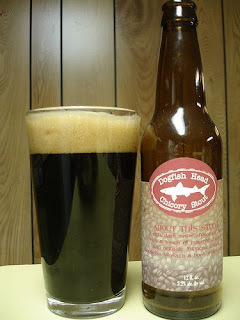 3.Dogfish Head Chicory Stout-7/10. As I said before If light can't pass through it, I love it. This stout was good but I'm glad I just got one. Tasted too much like a cold coffee. Towards the end I wanted to add some creamer and sugar. 4. 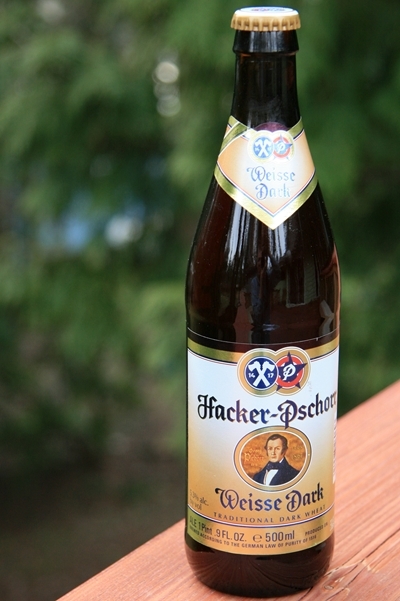 Hacker-Pschorr Weisse Dark-10/10. This beer was great. Had a nice flavor went down smooth and was probably my favorite out of the random 6 I bought. 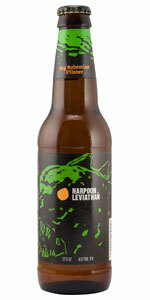 5.Harpoon Leviathan Big Bohemian Pilsner-3/10. This one wasn't for me. Bought the bottle cause the label looked cool. It was 9% alc/vol(I like Sierra Nevada Bigfoot) and $2 for the bottle. I knew something should have been fishy. This beer had a horrible smell and a even worse taste. Was like drinking some kind of pine cleaner. Only got through half a bottle. Some may enjoy this. I didn't at all. 6. 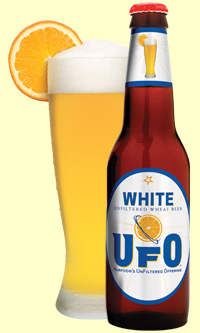 Harpoons UFO White Wheat Beer-8/10. Girl I was with picked this one out. Tasted just like a Blue Moon for me. It just didn't really have a big taste/flavor to it. Its a good brew for the summer, but not something I'd drink if I went to a bar. Overall It was a success. The 6 pack was probably about $13 cause I didn't buy any beers that were over $2.50. Finshed the night out chillin with some friends, drinking some Coronas, and chillin to some good tunes. This may become a weekly/bi weekly thing. Just wish they had a bigger selection to choose from( lack of Guinness and other known beers.). Corona? Do you attend many Kenny Chesney concerts? Grab yourself a Sierra Nevada Big Foot Ale and put some hair on that chest of yours! seriously, it's not even that good (Corona), all about the name. Just like I tried Fat Tire the other day for the first time and was expecting some really good things because I've heard so much about it and how everyone likes it...was incredibly underwhelmed. Fat Tire is good but overrated. BUT their "Mother Ship" is a nice change-of-pace beer if you're out & see it on tap. Stuff looks like friggen lemonade in a pint glass but it's tasty. Had some DFH Burton Baton on tap about 2 weeks ago. That was amazing. I was in Nicaragua last week, and had a very tasty beer drink called a Michelada. Its a ice-cold Victoria beer (kind of like Pacifico), with a huge amount of limon (maybe 1/4 cup), salt, chili pepper and black pepper (or Tabasco), served in a chilled beer mug with salted rim. Amazing mix of cold, salt and spice! Corona isn't terrible, but there are plenty of other better Mexican style lagers that are much better for around the same price. Had Sierra Nevada last night, always a good choice...I've been getting out on the loop with my beer consumption lately, just haven't had any time to go out sampling. I may have to do that soon. has anybody had a chance to try Bud Light Golden Wheat? I know, it's just BL, but I'm curious. I saw this tonight, and I'll be buying this tomm at 9am when we can buy beer.